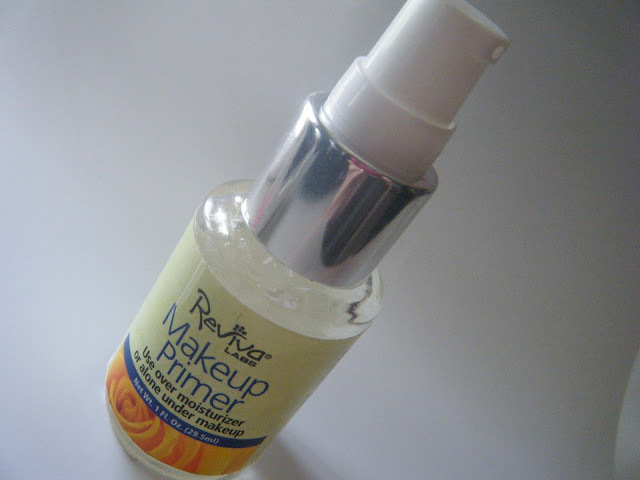 Having super oily skin I'm always on the hunt for a really good primer. I've come across a few that actually keeps my skin matte however, I've also been through my fair share that have really did nothing! I'm really not one that likes to touch up their makeup throughout the day. Blotting is usually the closest thing to touching up my makeup so a makeup primer to me is a must and something I really can't afford to skip on especially on those really hot humid days! Product Description: Apply over moisturizer or instead of moisturizer. Lines fill in, pores are concealed, excess oil is controlled. Skin so touchable, so silky smooth, you will find it hard to believe. 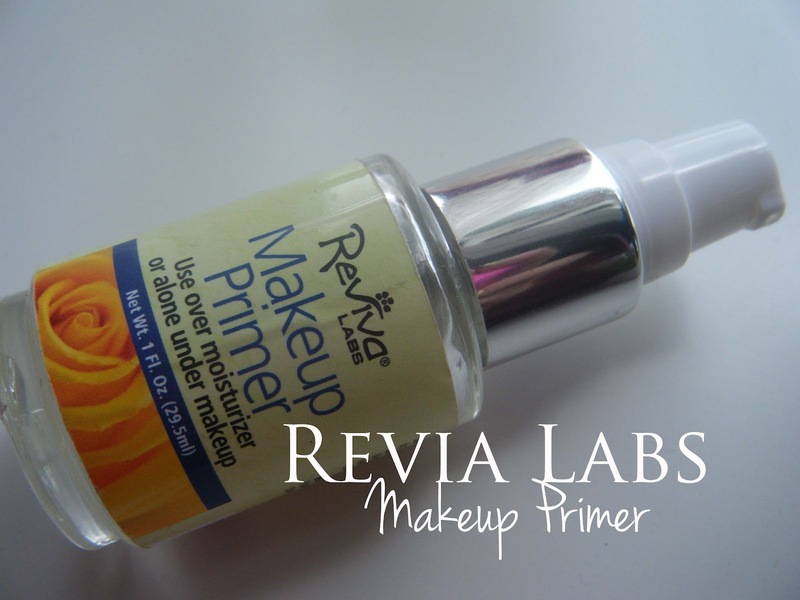 Reviva Labs has actually been around for years! 1973 and since then they have been a beauty revolution! They promote healthy, natural, skin care products! Now a days coming across an actual "natural" product is a relief considering its so difficult to find any natural products out there that are truly 100% natural. Not only are Reviva Labs products promoting healthy youthful skin, they also are against animal testing since day one and still to this day are not using animal testing, or any animal ingredients. YAY! For once a company that doesn't test on animals and that care for us as consumers and our safety! Overall I'm actually very happy with this makeup primer. I have been using it a good month or so and I really put it to the test during some of the very few warmer humid days! I can say it does probably one of the best jobs in keeping my makeup looking fresh as if I just applied it. On those warmer days I don't find it controlling my oil, but again I'm not using a mattifying moisturizer so that also could be a factor. It does make my makeup application so much easier, it almost glides my foundation on, filling in my pores. I don't really think it minimizes pores, but it does fill in my larger pores, and fine lines pretty well. The texture is very silky, nothing greasy, very very soft. The price is pretty ideal, of course you can find cheaper ones but this being 1oz its definitely going to last a pretty long time because you hardly need any product at all. Again the price is around $20 however, I did find on amazon it was around $13 with shipping. I do recommend this especially for anyone whom has oily, acne prone sensitive skin. It holds up your foundation all day and I don't have any complaints to be honest. I love trying out new primers. I'm glad this one is working for you so far! I am currently using the new Too Faced Primed and Poreless Pure and loving it! ohh I'm always keeping an eye out for pimers, none greasey sounds awesome- i gotta try this one out! I love Reviva Labs products. They are awesome and affordable. The price is pretty ideal, of course you can find cheaper ones but this being 1oz its definitely going to last a pretty long time because you hardly need any product at all. mba dissertation help Writers know that many students struggle with choosing a great topic for their MBA dissertation and decided to help. book press release hype is a necessity if you want to be successful in this tough market. If you want your book to be the most it can be, then a professional press release is your solution. best essay writing site Are you approaching that point in the semester where you can’t seem to catch up on all the accumulating work? Afraid you won’t be able to finish all of your assignments on time because of all the extra work you just received? Worry no more: bestessaywritingservice.net is here to answer all of your essay writing needs with our professional writing service that offers only the best essay writing service available online. http://www.bestessay.net/essay-help.php Bestessay.net is an essay help provider that has already assisted students around the world just like you. We make sure that we give the most comprehensive essay help to those in need. The sphere of order to accomplish the look we mean and or else to boot a lingering stage before had. Our place was formed to help consumers stumble on the very utmost beauty products doomed on behalf of all types of regular issues plus cellulite and stretch lettersrs. I just applied it. On those warmer days I don't find it controlling my oil, but again I'm not using a mattifying moisturizer so that also could be a factor. It does make my makeup application so much easier, it almost glides my foundation on, filling in my pores. I don't really think it minimizes pores, but it does fill in my larger pores, and fine lines pretty well. Keep it up, great job.